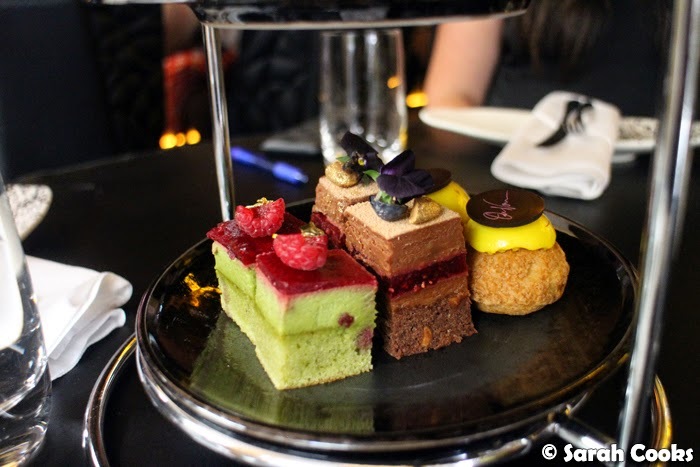 Earlier this year I received an invitation to try High Tea at the Om Nom Dessert Bar in the Adelphi Hotel. Om Nom had been on my "must-try" list for a while, so I of course said yes! 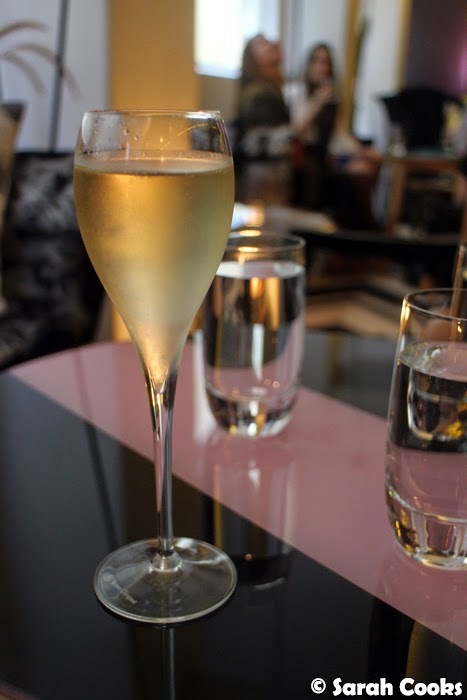 I've been to Ezard a few times for dinners, and to the Mon Bijou penthouse for an event once, I'd never actually been into the Adelphi hotel itself. 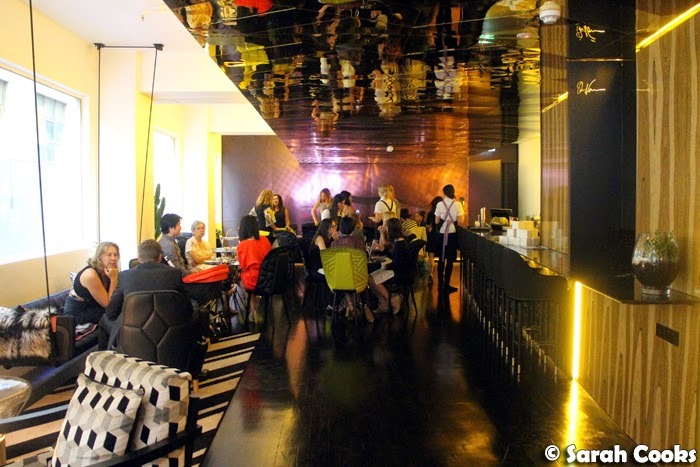 Stepping in, I was impressed by the plush and eclectic interior - funky plants, swing sofas, an assortment of different chairs, shiny floors and a mirrored ceiling. Now, although we were here to try out the high tea, Om Nom also offers breakfasts, a selection of signature desserts (they even have a dessert degustation! ), dinners, and a full bar including dessert cocktails. Just more excuses to come back! 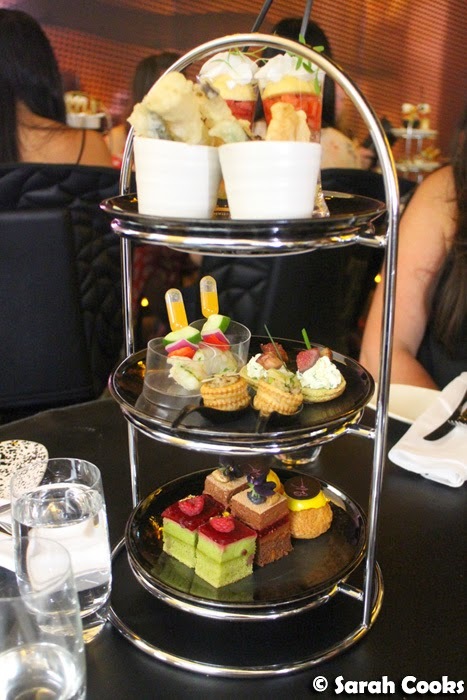 The high tea offering at Om Nom is a bit different from a traditional high tea - no scones or finger sandwiches here! 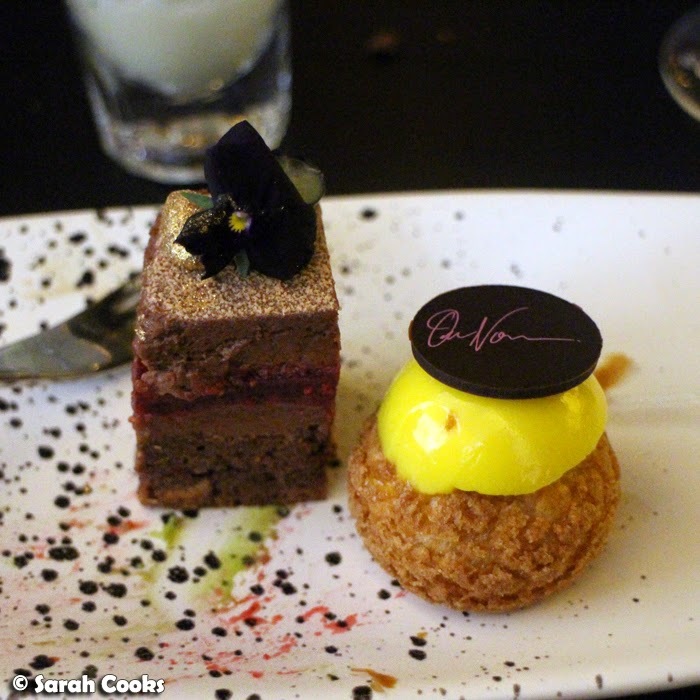 Chef Christy Tania has created a selection of inventive and unusual little morsels (with some cakes from Pierrick Boyer of Le Petit Gateau). On the centre tier we had a little mushroom and asparagus vol au vent. A bit of a retro item, done very well. The poached bug tail was also really cute, with its pipette of sweet and sour sauce. 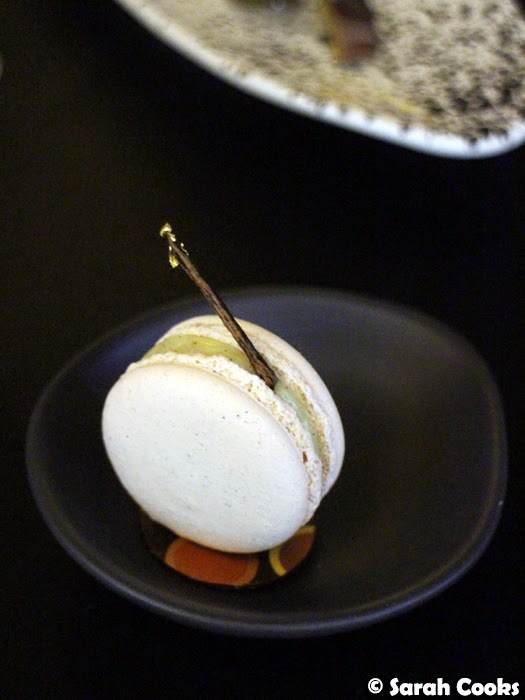 The highlight for me, though, was the foie gras macaron. I normally prefer classic flavour combinations, so I was surprised to find that I really, really loved it! The sweet macaron shell was topped with a mixture of cream cheese and chives (one of my favourite flavours!) and little pieces of fig. It was a wonderful mix of salty and sweet. 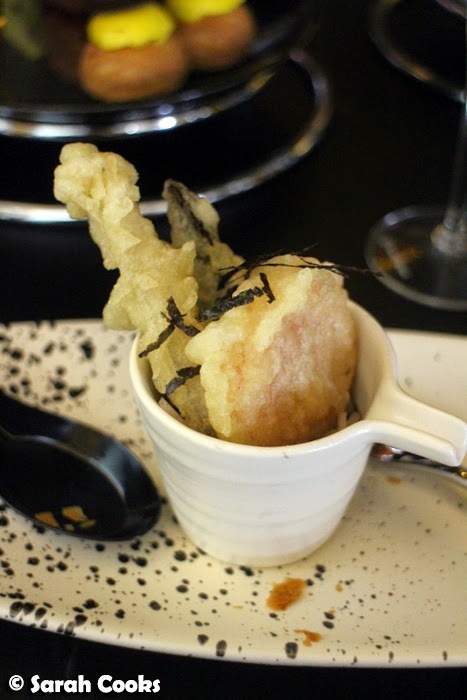 The vegetable tempura was another winner. The deep-fried vegetable pieces were served at room temperature but were still crisp, with a great savoury flavour from the dashi broth. The pineapple verrine was a bit like a palate cleanser between savoury and sweet: lots of fresh fruit (pineapple, strawberries), jelly and little bits of savoury microherbs (coriander, I believe!). It was very refreshing. 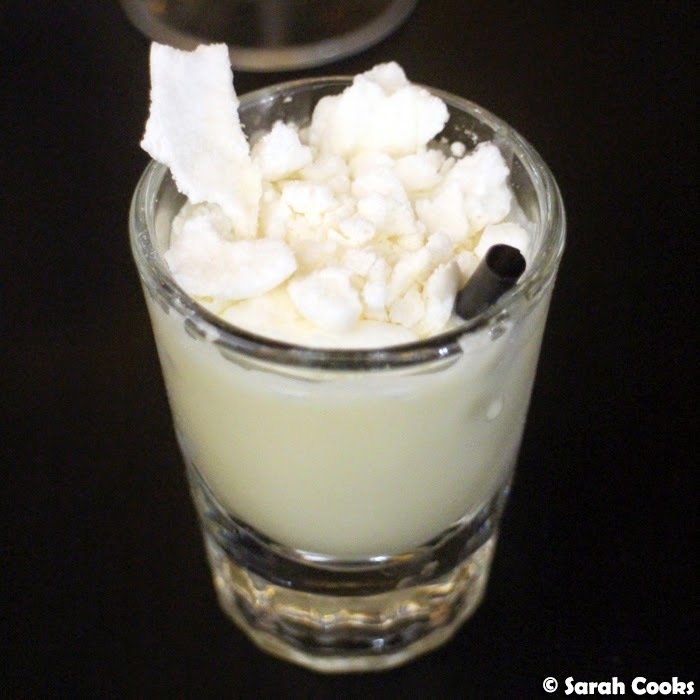 As I mentioned above, Om Nom serves a variety of dessert-inspired cocktails, and we got to try a mini version of the lemon meringue cocktail. It was sweet, sour and creamy, and it sure packed a punch! The green tea gateau was very light, with its fluffy sponge layer and green tea mousse, with a nice sour contrast from the raspberry layer. The mango and shiso profiterole is one of Chef Tania's signature items: choux pastry covered in a layer of craquelin, with a smooth mango filling within. Beautiful. Unsurprisingly, my favourite item was the peanut butter, chocolate and raspberry gateau - it was rich and dense and really decadent! The high tea also includes a macaron, and this vanilla macaron was super pretty and perfect. I thought the stick of vanilla bean with gold leaf was a lovely luxe touch. 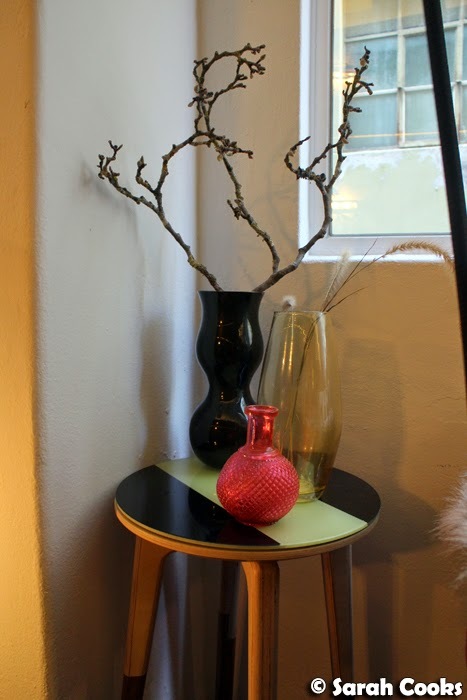 After the tea, we were given a tour around one of the rooms upstairs - I thought it looked very plush and slick. And - gasp! 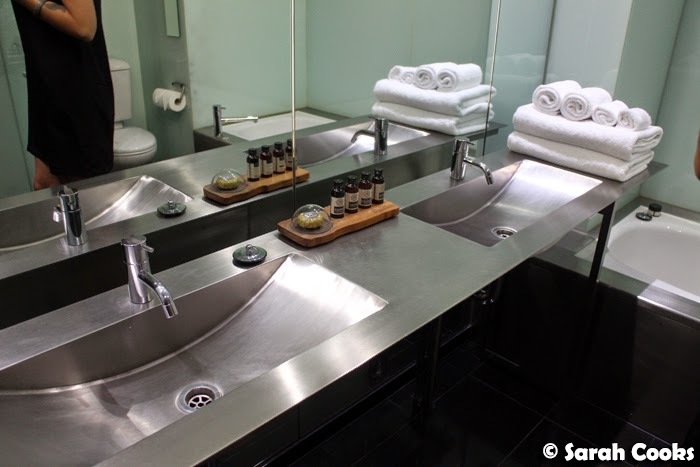 - the room rate includes a mini bar of Happy Lab snacks and refreshments! Dangerous and delicious. 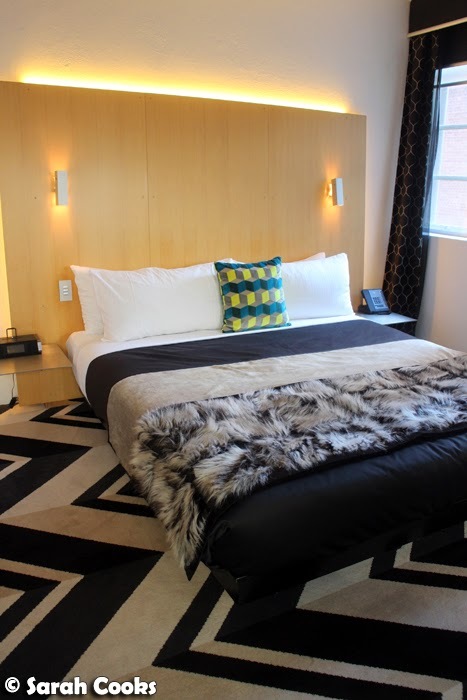 Looking back at these photos really makes me want to do a little city break - how fun would it be to spend a weekend exploring the bars and restaurants on Flinders Lane and then coming back to your swanky hotel room? The Om Nom High Tea is available Sundays from 12 midday to 4PM, and includes three tiers of treats, a glass of Veuve Cliquot, coffee or tea and a macaron. 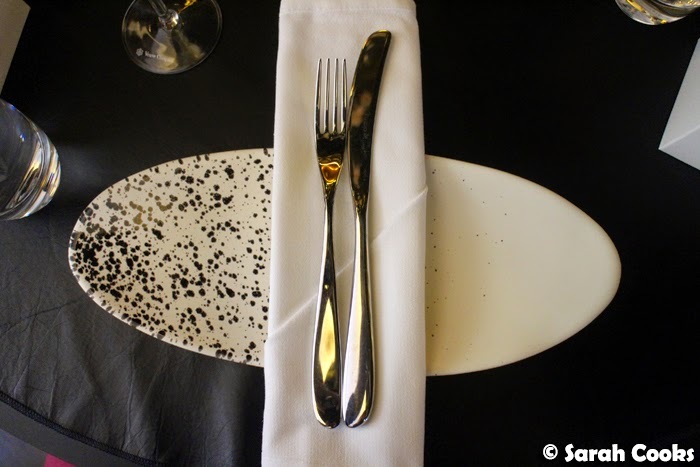 It is priced at $65 per person with a minimum of two guests. Thank-you to Soda Communications for the invitation and the fun afternoon! 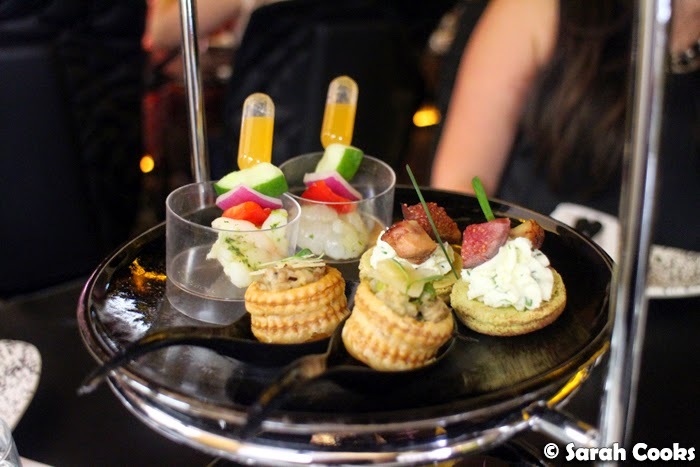 Sarah and Sandra attended the High Tea at Om Nom as guests of The Adelphi Hotel and Soda Communications. Some really attractive little treats there! And the cocktail looks very interesting and fun. 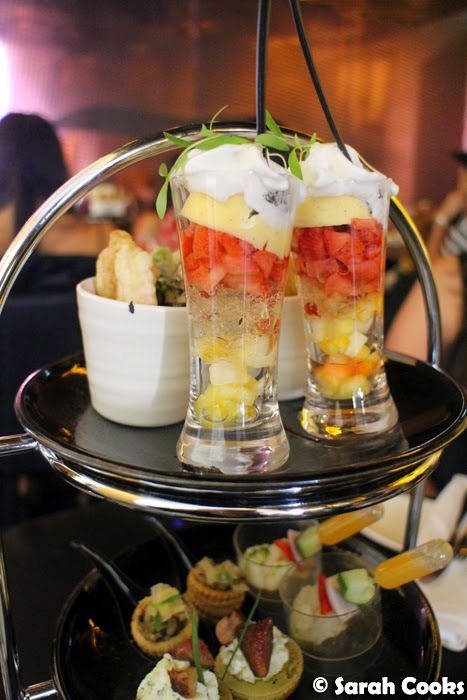 Such an interesting looking high tea! Love the sound of the savouries too. I'm a big fan of a good high tea - it's such a decadent way to spend the afternoon. This one looks really unique! Had high tea at this place with the family one Sunday, at $65 a head this place is rip off, service was poor, we came out very deflated,the buns and the sweets were very small in size big enough for children no adults.We would not recommend to anyone. Had high tea at this place with the family one Sunday, at $65 a head this place is rip off, service was poor, we came out very deflated,the buns and the sweets were very small in size big enough for children no adults.We would not recommend this place to anyone.